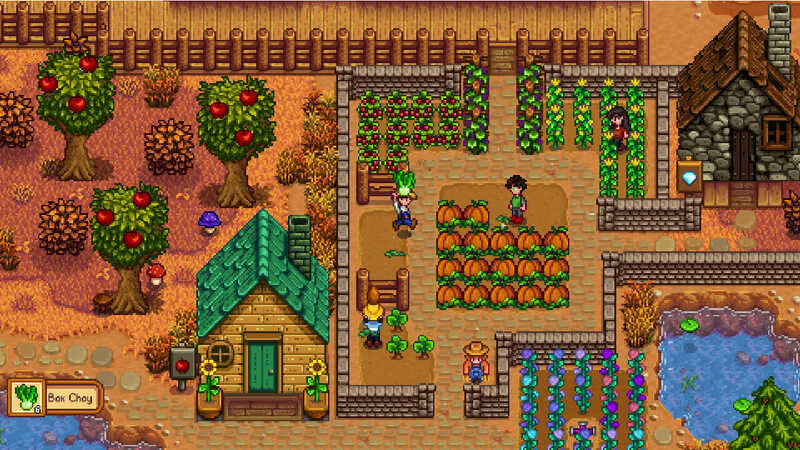 A free Stardew Valley update is available on Nintendo Switch from today (December 12th)! With it comes new exciting features, such as an online Multiplayer mode! 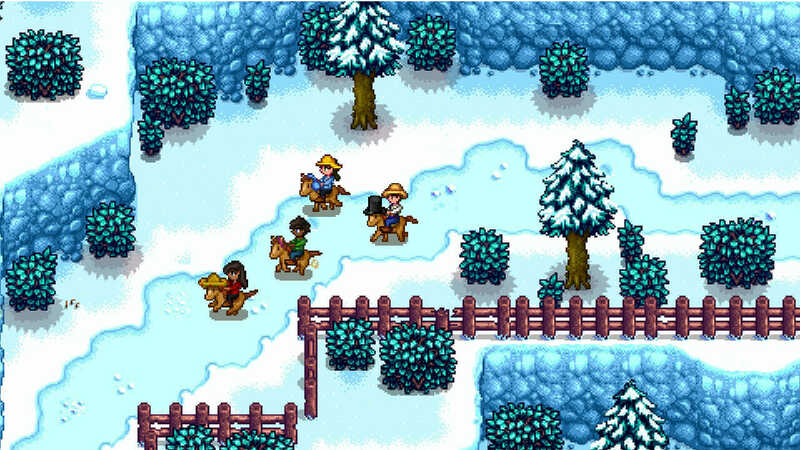 Invite 1-3 friends to join you in the valley and work together on your farm, either starting from scratch or diving in from an existing single player save file. Each player will have their own Cabin on the farm, and you’ll be able to work together to achieve common goals such as farming, mining, fishing, foraging and festival participation! If you want to ‘ban’ a troublesome player who keeps eating your parsnips, you can simply demolish their Cabin. If you’d like to change the difficulty level of your collective farm, you can achieve this by scaling your profit margins. For those of you wondering how marriage might work, players can choose to woo the eligible folks of Pelican Town or craft a wedding ring to propose to a fellow player. If the other player accepts the ring, the couple becomes engaged! Online play with friends requires a Nintendo Switch Online account, but you can also play together with friends nearby via local communications using 2-4 Nintendo Switch consoles over a short distance, without the need for a Nintendo Switch Online account. You’ll be able to communicate with the other players on your farm using Nintendo Switch online voice chat features, or the new built-in chat box. 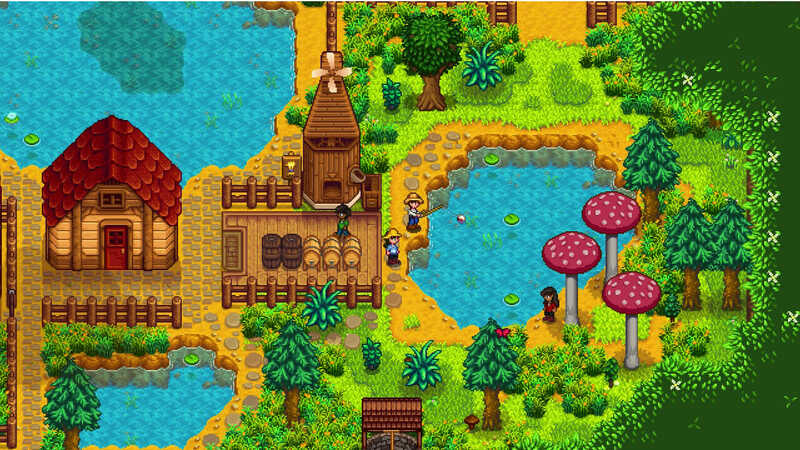 To see the full changelogs of this update visit the Stardew Valley Official Wiki and if you spot any bugs do let us know by flagging on the Community Forums. 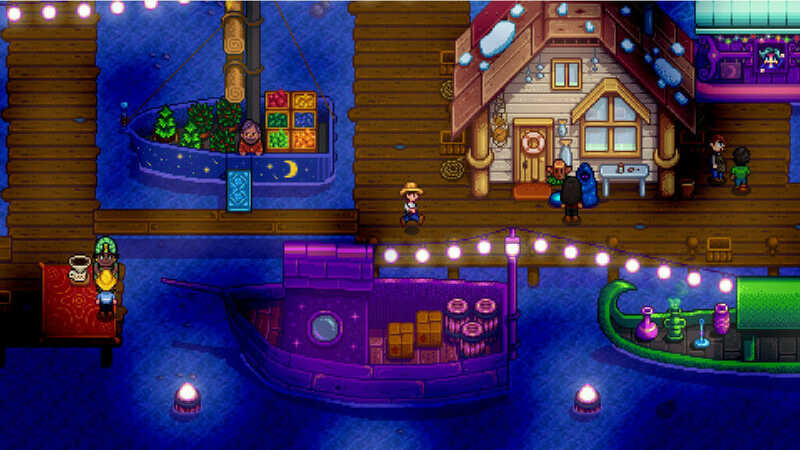 Developer ConcernedApe, Chucklefish programmer Tom Coxon and the porting team at Sickhead Games have all been working hard to bring this update to players on the Nintendo Switch, so we hope you’ll enjoy farming together! Treasure Adventure World now playable in Russian & German!